The Rev. Robert Whitaker is the founding pastor of St. John’s Church. 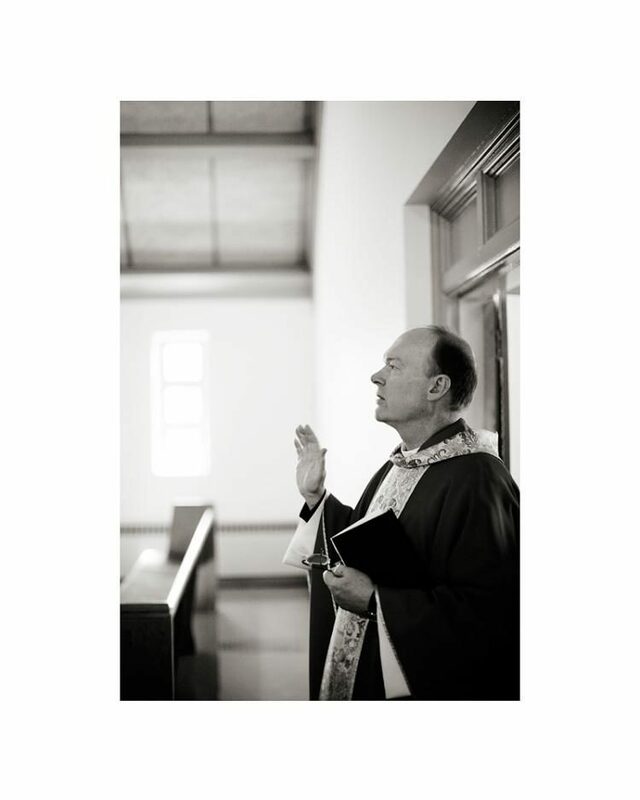 A native Virginian, he has served Anglican Catholic churches in Northern Virginia, Maryland, and Louisiana. He began ordained ministry in 1991, serving as curate and then rector of Christ Church, Warrenton, VA, from 1991 to 1995. He graduated with a B.A. and High Honors in English from the College of William and Mary in 1983. He was also awarded the Dr. Murray Braderman Borish Prize as the College’s most outstanding senior English major of that year. In 1987 he was awarded a Jacob K. Javits Fellowship for full-time graduate study and obtained both an M.A. and a Ph.D. in English language and literature from Princeton University. His specialty was English Renaissance poetry, and his doctoral dissertation was on the 17th-century Anglican priest and poet George Herbert. He obtained his Master of Divinity (M.Div.) degree in the School of Divinity at Regent University. He trained for pastoral ministry in a full-time, two-year Diocesan Training Program and parish internship under the Rev. Canon Stephen J. Dibble (M.Div., Nashotah House) and Archbishop John T. Cahoon (M.Div, Church Divinity School of the Pacific). With a background in the Episcopal Church, he joined the Anglican Catholic Church in 1979, just as that Church and the Continuing Anglican/Episcopal Church Movement were getting started. He was a founding member of St. Thomas of Canterbury in Roanoke, VA; served in the choir and on the vestry of St. Margaret of Scotland in Arlington, VA; and served as an acolyte and lay reader at Christ Church, Trenton, NJ. A bivocational priest, he works as a professional writer, editor, and proposal manager and has taught writing and literature at North Carolina State University, Delgado Community College, Ocean County College, and Princeton University. His hobbies include running, swimming, cooking, travel, reading, music, movies, politics, and fixing things around the house. He lives in Virginia Beach with his wife, Kathryn. They have one adult son, Andrew.